She's really kind and most viewers feel sorry for her. She's currently ranking #4, which is even higher than Jang Wonyoung. -Miyu Takeuchi is not only good at singing, but she's also really kind. That's why I vote for her everyday. Let's debut in Korea!! -Miyu-ya, let's debut.. I'm voting for you every day.. I hope you'll make it to the final line up..
-I love Miyu<3 I don't watch Produce 48 but I vote for her everyday because I find her likeable..ㅋㅋㅋ Thanks for reminding to vote for her again today! 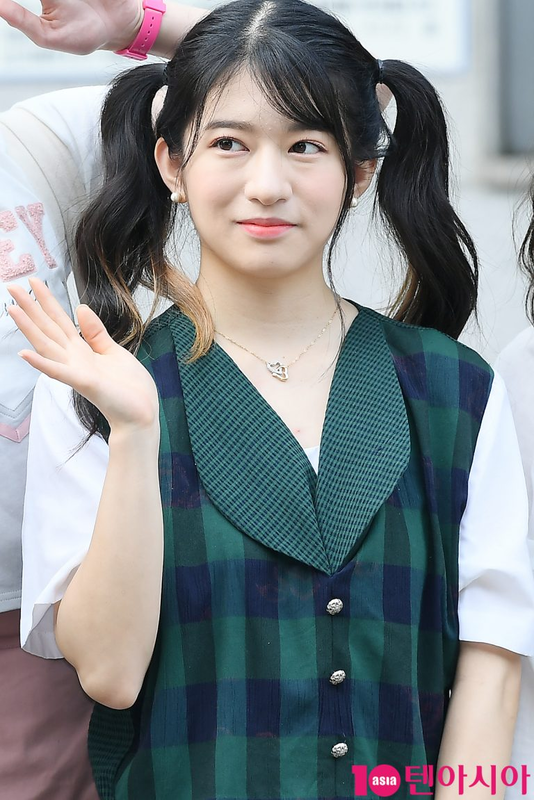 -I'm not Miyu's fan but I gotta say that those who hate Miyu for her looks probably have something wrong inside their heads..
-But she's indeed very quiet..
-She gets a lot of unnecessary hate in daily basis. I'm gonna vote for her..
-Ah right, I haven't voted for Miyu today! -I love Miyu but how did she go to the 4th place, jumping over Jang Wonyoung? That's new..
-She kinda looks like Yoon Eunhye in those pictures..
-Can someone give me the link to the voting site..? I want to vote for her..